I love abstract print skirts for summer especially in the midi length. They have such artistic patterns and are so funky, modern and really make a statement! Pick out one color from the skirt for your top and keep it simple. 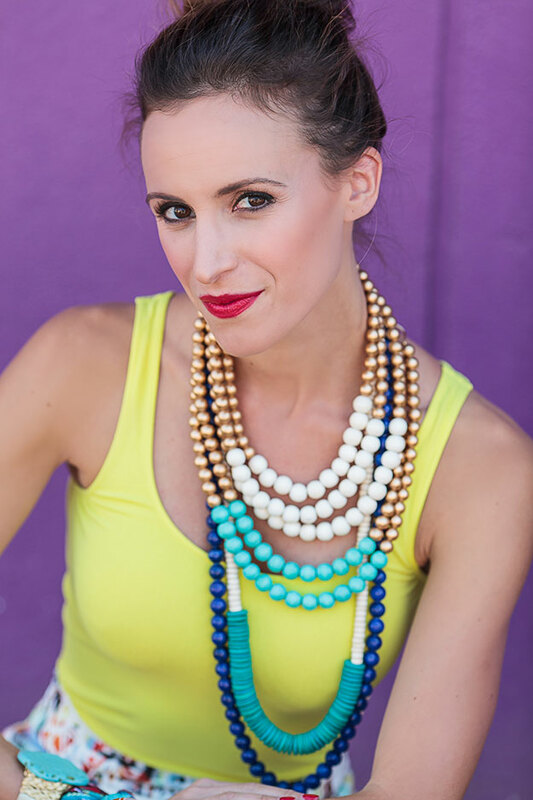 It’s hot out so tie your hair up in a cute top-knot and go crazy with some jewelry! All the jewelry featured in these pictures can be found at www.erinmcdermott.com!